I always look forward to spending time with special friends and family including my wonderful pets this time of year. While I enjoy all the holiday food, travel and decorations, my pets sometimes find it a little overwhelming. I try to ensure my pets have spaces to go to get away from it all and plan enrichment activities they will enjoy during the holiday season. I have several favorite products to help me achieve this! Here are some of my favorite ways to make the holidays enjoyable for my pets and my product picks! Toys, but not just any toys! Interactive toys! When purchasing a toy consider everything you know about your dog or cat – chew style, weight and age. Read the labels carefully and adhere to safety recommendations. Follow the guidelines on the packaging about weight, breed and chew strength to choose the best one for your pet. Some dogs prefer a nice durable chew toy while others a meal dispensing puzzle. 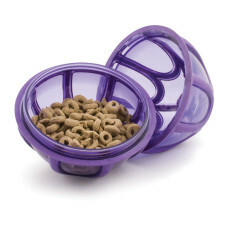 Our line of toys provides many choices so you can find the right toys to keep your dog happily chewing something appropriate like a Squirrel Dude or figuring out a challenging puzzle like the Kibble Nibble. And don’t forget the cats! Cats need play and enrichment too! Consider the Bolt Laser Cat Toy for some interactive fun! One game my dogs love is playing tug! Start by teaching your dog the proper rules of tug and you will also be teaching your dog a great drop cue that can definitely come in handy for other situations. 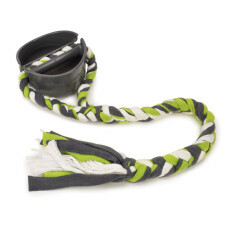 You will need a tug toy, I like the new Grip 'n' Tug, with its handy shield to protect your knuckles, and some very tasty treats in your bait bag or pocket. Practice these rules – be consistent and patient. Remember it is a learning game! Once they are playing with you for 20 to 30 seconds cue the dog to “Drop” and follow the cue with an offer of one of the tasty treats. This is like a trade! Walking gear to keep moving! Take your dog or cat for a walk designed especially for him. Include some off the beaten path sniffing so he can check out the world of smells we will never understand. Take some time to stalk a squirrel, run through the field or roll around in the grass. That’s a walk he will find worth taking! Utilize the right walking gear to decrease pulling and keep your pet secure. The new 3 in 1 Harness for dogs is a fantastic choice with its three functions of standard harness, no-pull attachment and car strap. The Come With Me Kitty harness allows you to expand your cat’s world with a secure fit and bungee leash. Keeping things consistent can reduce stress and avoid problems. New people, smells, food everywhere, children playing, music blaring and someone sitting in my favorite sleeping spot! This could be Fido’s view of the holiday festivities. Consider your pets when planning holiday get-togethers and plan the most effective, least stressful ways for you and your pet to manage the event. Using a timed feeding system like the Smart Feed Automatic Pet Feeder keep meal times consistent and easy right from your smart phone even during the holiday madness! Consider giving your pet an early holiday gift – a trip to daycare and a night at the local pet resort might be much more fun than skirting out of the way of party guests and running from playful children all evening. An added bonus to you is being able to cook, party and clean up without worrying about your pet’s safety. Provide access to a quiet room to which the pet can “escape” to if they feel stressed, anxious or sleepy. Keep pets in a closed bedroom or a crate during the festivities. This keeps them safe and avoids the possibility of them slipping out as guests arrive. There no one size fits all for showing your pet some love this season. The best gift you can give your pet is time. Spend time playing, walking and just hanging out – to them there is nothing better than the gift of time spent with you!